The Leadbetter, Bearsley and Karl families have been involved in exporting Hawke’s Bay’s finest agricultural and horticultural produce for more than 40 years. 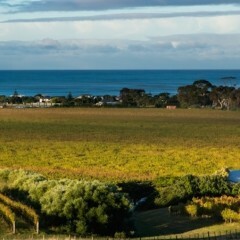 In 2014 the purchase of the Thames Street winery in Pandora and establishment of a joint venture processing wine with Rod McDonald Wines called Hawkes Bay Wine Co Limited provided the opportunity to create and develop Ka Tahi Wines. Ka Tahi is a young business with a simple goal – to produce and distribute the wines that Hawkes Bay has special strengths in. To achieve this Ka Tahi will strive for excellence in all aspects if it’s business to ensure it represents unsurpassed quality and value to its customers in New Zealand and in its export markets.